Real Estate Lawyer vs. Real Estate Agent: Which is Right for You? Purchasing a property can be one of life’s most satisfying moments—but it can also be one of the most nerve-wracking. After the process of choosing a property and making a bid, there is often a period of negotiation. Once an agreement has been reached, let the parade of paperwork and legalities begin! Some real estate transactions go off without a hitch, but in most cases, there are a few bumps in the road—not to mention the significant number of cases that go from tricky to downright complicated. Everyone knows that professional help is often used to do real estate deals, but some folks are unaware that real estate agents aren’t the only option. 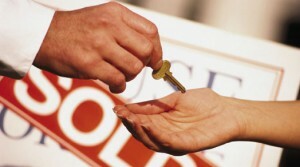 There is also the possibility of paying a real estate lawyer to handle aspects of the sale. As experts in real estate law, they can offer important advice, prepare documents, and even execute real estate deals on your behalf. The big question is, what’s the difference? When can you benefit from working with an agent, and when does a lawyer become the preferred option? Answering this question is an important step—not only to achieve an effective sale, but to avoid unpleasant surprises after the fact. Real estate agents in New Jersey and other States can help with most aspects of a property deal: Seeking and viewing properties, negotiating prices with the seller, arranging inspections and other legalities, and closing the deal. One of the biggest advantages to working with an agent is the connections and local knowledge they offer to clients. Agents usually have contacts in various aspects of property buying, which can smooth over the rougher edges of the selling and buying process. They’ve also been through the process many times, so they understand the professional and social nuances of the system. On the downside, agents work on commission. This means, in some cases, that agents are eager to sell you a property that isn’t necessarily right for you. It also means you’ll dish out a sizable chunk of cash (often about 5% of the sale price) when the deal goes down. According to this article in the New York Times, real estate brokers in the U.S. earn higher commissions than in many other countries. This is because in many countries, one agent works for both the buyer and seller, while in the U.S., each party has its own agent. The seller typically pays for their own agent as well as the buyer’s, but this is reflected in the total price of the property. While agents are knowledgeable about many aspects of real estate, they are generally not qualified to give legal advice. Their services are often enough when the sale is straightforward; but if there are legal issues involved—code violations, special leases, tenant issues, just to name a few—the services of a real estate lawyer may be needed to bring the sale to a predictable and legal conclusion. Since lawyers do not work on sales commission, there is generally no conflict of interest involved in the advice they give you. Fees are often charged hourly, but in many cases a flat fee is charged for specified services. Hourly rates between $150 and $350 are common, and this can seem expensive or even prohibitive at first glance. There are many instances, however, in which a real estate lawyer’s advice can result in significant savings for buyers and sellers in the long run. No two real estate deals are exactly alike. In some cases, a real estate lawyer is needed to verify documents and offer solid perspective on legal matters. In other cases, the services of an agent can bring a good overall result. If you’re considering the services of a real estate lawyer it pays to know the difference between a lawyer and an agent before you set the ball rolling. Learning more about the services of a real estate lawyer, and contacting one to discuss your transaction, is the logical next step.